Academy Street Dance Studio having their wish granted. Talented dancers paid a moving tribute in their dance teacher’s memory with the help of the Scottish Ballet. Students from Academy Street Dance Studio, some as young as three, took to the Beach Ballroom’s stage to make Jemma McRae’s wish a reality. The 43-year-old, who ran the school, passed away earlier this year after battling breast cancer. Before her death, Jemma had one special request for her students, after spotting a Scottish Ballet campaign to make the wishes of five people come true. Jemma’s was for her students to be taught by the professional dancers and to create a unique performance to coincide with the show Spring! Scottish Ballet dancers have been working with 85 students from the studio since Wednesday to create a special five-minute tribute to Jemma’s life. The performance, which brought many in the audience to tears, was a mashup of choreography from the ballet Elite Syncopations. Young dancers donned colourful shirts with the words “In memory of Jemma McRae” printed on the back. Gillian Stuart, longtime friend of Jemma’s and teacher at the dance academy, gave a moving tribute at the end of the show. This will be the performance the Scottish Ballet helped put together for the class as Jemma’s last wish. 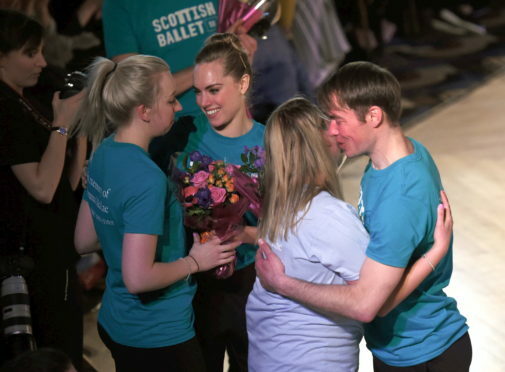 Standing next to co-teacher Joanne Milne, Gillian said: “Jo and I would like to express our appreciation to the Scottish Ballet for making Jemma’s dancing wish come true. “The past three days have gone above and beyond our expectations. 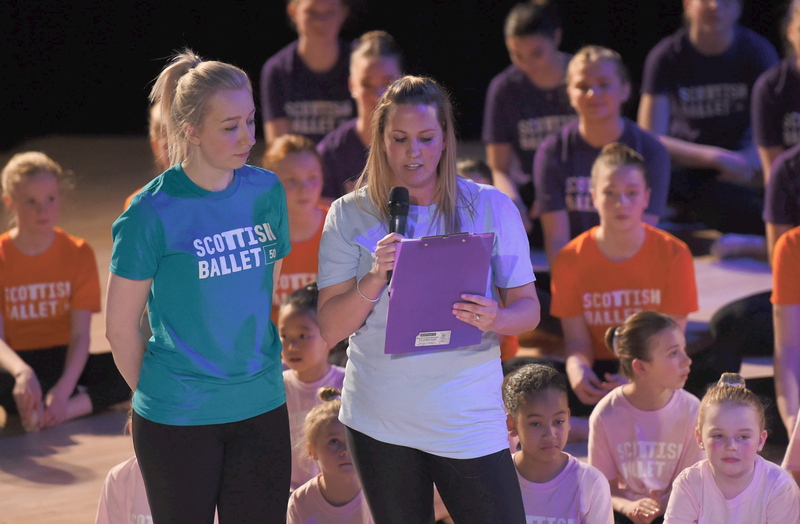 “The preparation, hardwork and dedication from the Scottish Ballet team have successfully inspired each and every pupil – and they all had an absolute ball. “Jemma’s little girl Izzy and the pupils at Academy Street Dance Studio – known as Jemma’s extended family – have gained so much from this experience and are extremely privileged to dance with a wonderful company like Scottish Ballet. “Jemma wanted to give every pupil and every parent something spectacular to look forward to as a thank you for their continued support over the years. 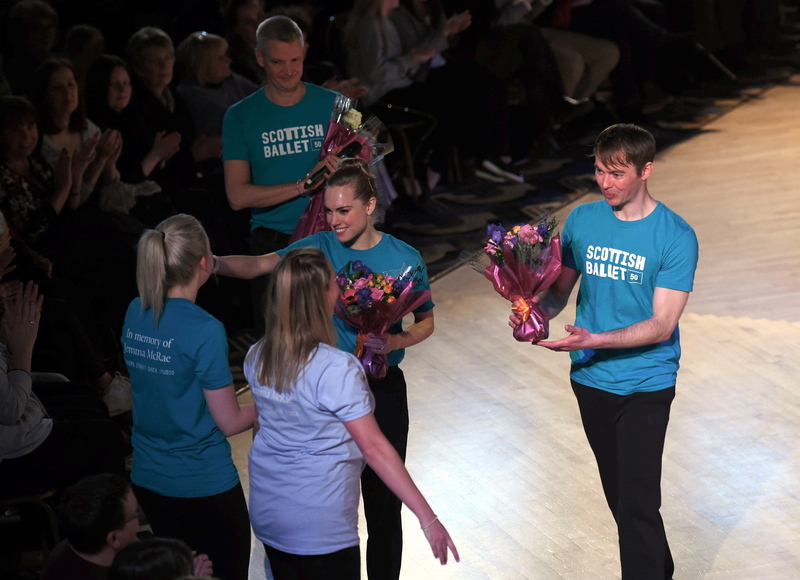 Christopher Hampson, CEO and artistic director of the Scottish Ballet, said: “This week we have been working with 85 dancers from Academy Street Dance Studio to help make Jemma’s wish come true.